Women will now be able to track their menstruation cycles thanks to a bunch of new HealthKit metrics that Apple has announced for iOS 9 at WWDC 2015. Apple introduced the HealthKit framework as part of iOS 8 last year to track various fitness and health activities / variables using a bunch of different sources, but as you might have already guessed, it lacked the ability to help track reproductive health. All that is changing now though with iOS 9 as Apple is updating its HealthKit framework to include the ability to allow its female audience to track their menstrual cycles using the very same Health app on the iPhone to which everyone is dearly acquainted with. The feature, which had been missing for almost a year since the arrival of Health app, has been a bone of contention, with Apple seemingly being oblivious to women with iPhones. What this new addition likely means is that women will finally be able to hook up this particular data type from third-party apps right into Apple’s unified Health app. 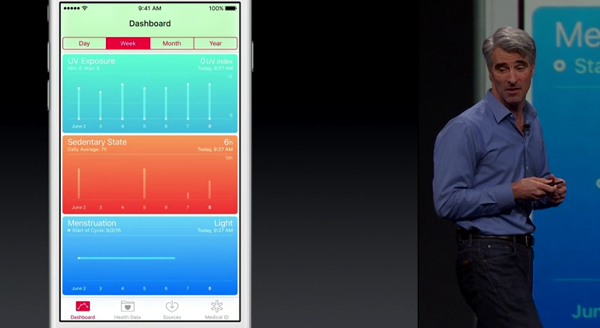 Here’s a screenshot showing this in iOS 9’s Health app. 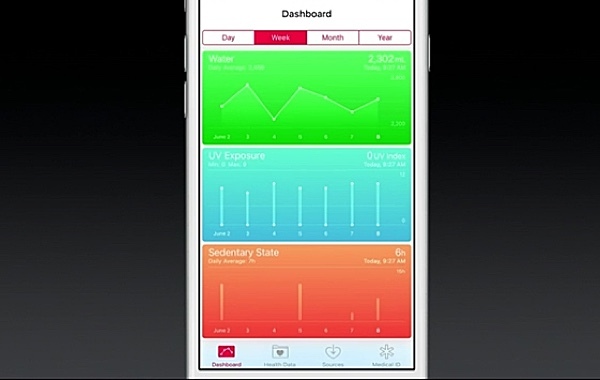 Apple is also looking to add additional metrics to its HealthKit platform, including tracking UV exposure, and how long a user has been sitting idly in one place. Support for tracking a user’s hydration level, which could go hand in hand with tracking workouts, is also said to be part of the new HealthKit package. While iOS 9 beta 1 has already been released for enrolled members of the Apple Developer Program, a public beta has been announced for the month of July, and the final release will be rolled out somewhere in fall along with the iPhone 6s and 6s Plus.